George and Millie are staying with their Grandad in Wybrook while their parents are out of the country. On the night of the midsummer solstice, George sets out on an unauthorised quest to try and recover his Grandad’s pocket-watch, which he had carelessly lost earlier in the day. And disappears, without trace. When George goes missing, it is left to his sister alone to work out what has happened to him. She uncovers hidden secrets, hinting at something more unbelievable than she could ever have imagined, as she and her brother are plunged into a world of mystery, myths and peril, in an enigmatic thriller by a writer with a new, unique voice. Clare Osborne was born and raised in the Essex countryside. She now runs her own ski chalet in Slovakia as well as being a Teaching Assistant in an Essex primary school. If she’s not getting lost in the wilderness she can be found glued to her laptop, tapping away her next work of fiction. Her debut novel, Widurok, is a time-travel story set in Essex across two very different eras: the present day and the age of the Anglo-Saxons. Excellent read mixing past and present. Educational for younger readers introducing them to Anglo Saxon Britain and the environment in which people existed. Highly entertaining from start to finish with well researched information and accompanying bibliography to support and further inform the reader. Bring on the next instalment of the can’t put down read! Lovely book, really well written and an enjoyable read. This is the best book I’ve ever read! This book is amazing we’ll written fun and gripping a great read More like this one please..!! It’s the most amazing story full great information, you can put it down because you can’t wait to read what happens next. Such an exciting read – a well thought out story with colour and atmosphere, layered with a wonderful mixed tapestry of historical and the modern day – woven into one. Fantastic book. Really enjoyable read. I really enjoyed reading Widurok and can’t wait for the next one! 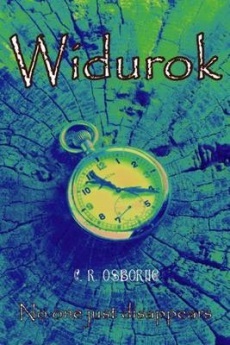 I absolutely loved reading Widurok from start to finish! This was a great read with some original ideas! Taking you on an imaginative journey through time with good historical background and some believable characters. Loved the mix of historical fact with fiction. Both my 7 and 9 year olds enjoyed reading and being read to. A lot of background research must have been done in the writing of this wonderful tale. Written with a voice that truely makes you feel you are there. Great mix of history and fiction. A great read for people of all ages. A brilliant read. If you love a story of time travel and Anglo-Saxon England then this is your book! Can’t wait for the next one! This is a fantastic book about a great variety of history and fantasy. Very creative and very enjoyable. Keep up the great work C. R. Osborne. Worderful book, my children really enjoyed reading it. I really enjoyed reading Widurok and highly recommend it to all ages. Looking forward to the next book! I brought this book on a ski trip and really enjoyed reading it on the journey home. Lovely story with well thought out plot. Great novel, a very enjoyable read! I’m about to start reading this and I’m very excited it’s a book prize finalist! A great book and a prize finalist! A very enjoyable read and a real page turner. Reading Widurok really taught me a lot about the county I live in and was a fascinating read. Very clever plot with lots of exciting twists and turns. Has to be a finalist. Learnt so much from this book. Bring on the next one. Both kids and I really enjoyed this book, great stuff. Really enjoyed this book, well written, informative and educational. Excellent read for all the family. The author mixes past and present very cleverly and keeps the tempo high. Strongly recommended. Can’t put this one down once you start. Brilliant mix of historical and modern, highly entertaining and educational. Recommend this to all the family, children and adults alike, what a good read. Thrilling read, really enjoyable for all. Great read for children and adults. Fast flowing, educational mix of old England and the present. Great read, one that you don’t want to put down. Highly recommended for all. Gripping read from start to finish, really enjoyable. Great book, next one please! This book has really stayed with me since I read it. I particularly enjoyed the feel of post-Roman Britain so cleverly conjured in the characters’ travels. Great read. Quick the whole way through. Really great book with twists and turns! Great idea to explore the Anglo-Saxon era in a time travel story.